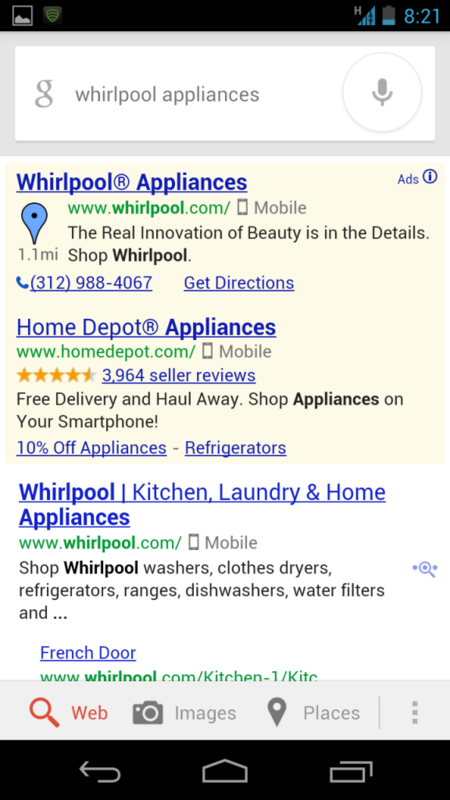 Browse: Home » Poll: Do you see mobile icons in Google smartphone search results? 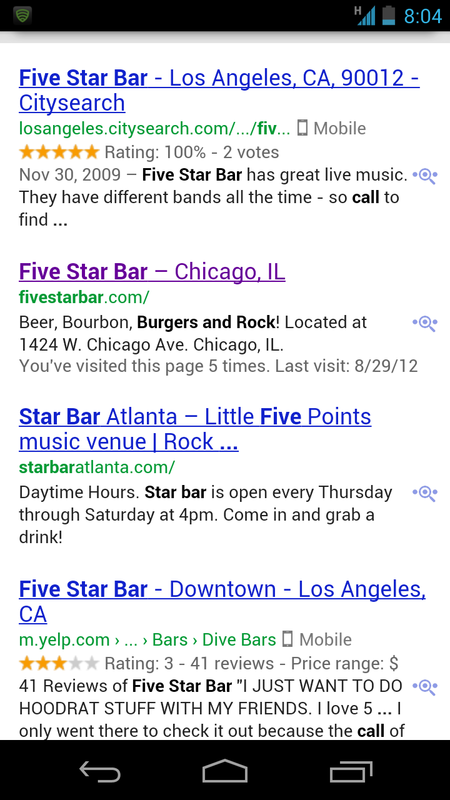 I mentioned at the beginning of August that Google was testing mobile icons in smartphone search results. It appears now as though the test was successful and they’ve rolled it out to more users, as I’m now seeing smartphone icons plus the word “Mobile” next to the display URL in every search I do on my Galaxy Nexus running Android 4.1. See screenshots below. However, I want to see if this is just my OS and/or handset, or if this update is more widespread. To help me answer this question, please answer my two question survey below. 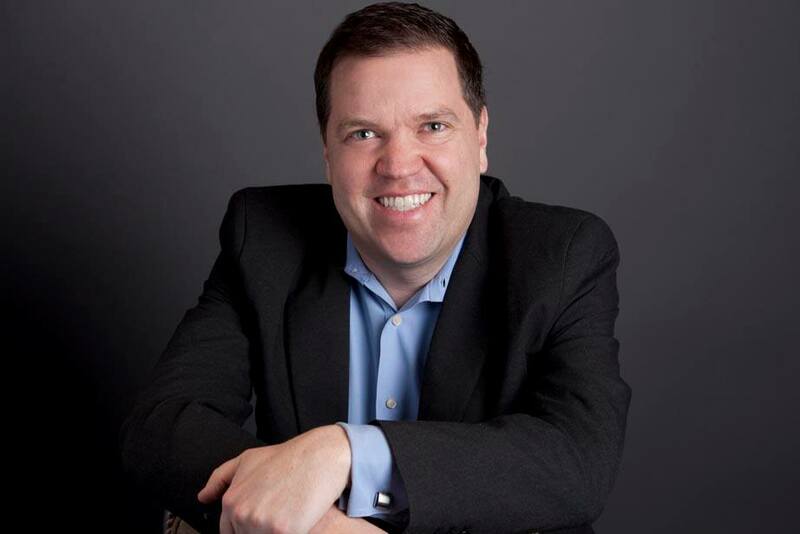 Please share with your friends and/or blog readers to help me eliminate sampling bias. Thanks! If you don’t see a survey below, click here to take the survey. 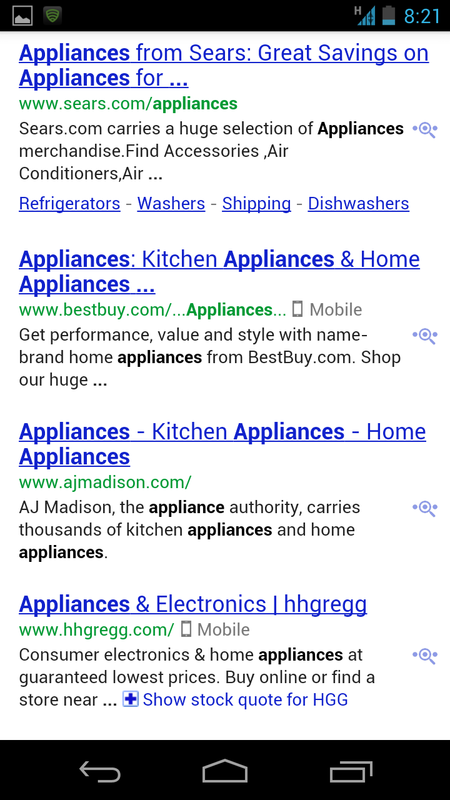 Search for [appliances] with smartphone icons and new “Mobile” label in positions 2 and 4. Note that Sears, who is in position 1 for this query has an equivalent page at http://m.sears.com/category.do?verticalName=Appliances that is indexed. However, because it hasn’t implemented Google’s recommendations for smartphones, it has no mobile icon. Not just an SEO thing, smartphone icons are now available for organic and paid results, as this screenshot of query [whirlpool appliances] demonstrates. If you have a mobile URL and have implemented Google’s guidelines correctly, you get the benefit of Skip redirect and a mobile icon in the results, as this Yelp listing for a local query demonstrates. ← What’s the Difference Between Google Desktop and Mobile Search in 2012?